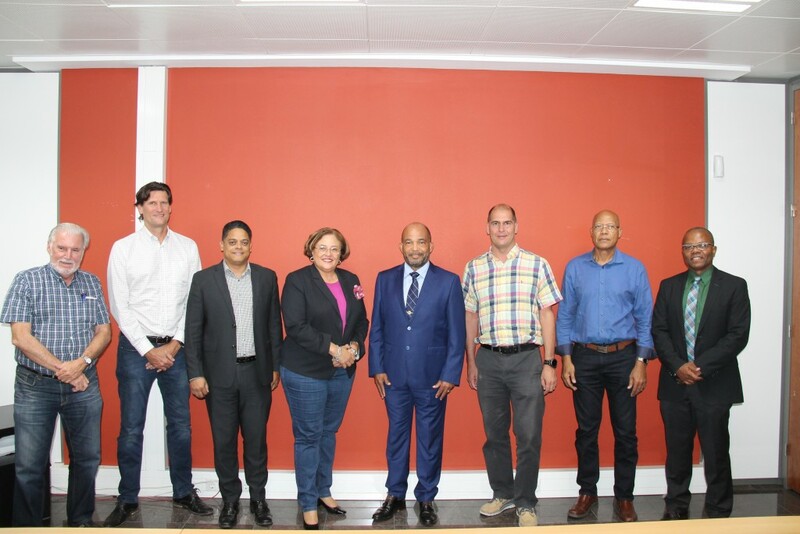 WILLEMSTAD - The Government of Curaçao, together with the shareholders and management of local aviation company InselAir joined forces to safeguard the vital air links for the island by ensuring that InselAir is financially and operationally healthy and strong. Last weekend, the airline has signed an agreement, whereby the government, under certain guarantees and conditions, provides a loan to InselAir. Both parties are confident that the agreement, which follows very intensive discussions, provides a good basis for the intended purpose. For the public, it is paramount that the access to other destinations is guaranteed where security is of primary importance. 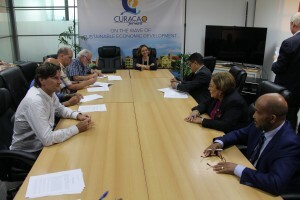 The Curaçao economy and employment, in particular, are heavily dependent on reliable air links, including with neighboring countries. Under this agreement, the government provides a loan of 33 million guilders (18.6 million dollars), payable in instalments depending on the implementation of a stabilization plan. As security for this loan, the government obtains more pledge and usufruct on 51% of the shares in the operating companies of InselAir. The government acquires all normal shareholder rights, without becoming the owner. The government and the current shareholders of InselAir appoint two commissioners. The fifth and president of the board are appointed by common accord. The post of President of the Board shall be held by Dr Jose Jardim, economist and former finance minister. On the basis of his financial expertise and management experience he can make a meaningful contribution to the restructuring of the company. The management team will be strengthened by two directors nominated by the government. These are the Chairman and the Chief Financial Officer (CFO). The chairman leads the management team and represents InselAir. Mr Gilles Filiatreault has been appointed as chairman. Mr. Filiatreault has an extensive international track record in the aerospace industry. He has practical experience in his native Canada and in the US, Central and South America, the Caribbean, Eastern Europe and West Africa. He specializes in the start-up and restructuring of airlines, both passenger and cargo. The management must have a stabilization plan ready by late February. This stabilization plan shows how the operations of InselAir should be normalized in the near future, resulting in a profitable business. On the basis of the stabilization plan, the parties agree to the transfer of the amounts that go parallel with the implementation of the plan. The first tranche of 3 million guilders was paid in advance on this agreement in the month of December 2016. Currently, a second tranche of 5.6 million guilders will be paid for the month of January. The management must present, under this agreement, a business plan within three months and this must be approved by the Supervisory Board. The business plan includes the strategy and the operational and financial objectives for the next three years. The business plan describes the process to come to a strategic partner, which will strengthen the business with capital and know-how. In the fourth quarter of 2017 the process of selection of a strategic partner should start. The intention is that the government withdraws at the end of that process. The government will maintain the InselAir Committee, chaired by Mr Etienne Ys. The Committee will, on behalf of the government, supervise the implementation of the agreement. They will also advise the government. The parties are confident that this agreement is a good basis to ensure the important air routes. The travelling community can also count on a reliable and safe airline. - Mr. Jose Jardim, President of the Board. - Mr Lars de Brabander. He has extensive knowledge and experience in the aviation industry and was General and Country Manager for Martinair Holland and KLM in Curaçao. - Mr Anthon Casperson, accountant and former CEO of the utility company Aqualectra. - Mr Gilles Filiatreault as chairman. - Mr Andre Delger as CFO, accountant and he was managing director at several major accounting firms in Curaçao. His last position was CFO at the Curaçao airport.